A little over a week ago, Mets fans were worried about Noah Syndergaard’s velocity drop. His 98-99 mph fastballs had dipped to 94 mph against the Nationals, renewing concerns about his right index finger. The worrying rapidly segued into levity, though, when we learned that he had hand-foot-and-mouth disease — a summer camp staple for sweaty elementary schoolers. The moribund New York Daily News photoshopped Thor into a hazmat suit, captioned, “HAZ-MET!” He’ll be back this week, supposedly. There’s no way to sugarcoat this: Yoenis Cespedes, who spent two months recovering from hip and squad issues, re-injured himself in his first game back. He announced on Wednesday that he’ll undergo season-ending heel surgery, which may take 8-10 months of rehab. In other injury news, Todd Frazier will soon begin a minor league rehab assignment for his rib cage muscle. And Jason Vargas, who was recovering from a calf strain, started on Friday against the Pirates. Pitted against the mediocre Pirates, the Mets won two and lost two. Thursday’s game was basically won by Asdrubal Cabrera, who went three for five with a home run before being shipped to Philadelphia. Steven Matz also deserves some of the credit. He limited the Pirates to four runs over six innings, which would be subpar in a normal game. All bets are off, though, when the Mets score twelve times. Friday was dispiriting, as walk-off losses tend to be. This was one especially tough because the Mets had an early lead. Michael Conforto’s first inning homer, which sailed into the right field seats, was quickly followed by David Freese’s two-run blast. The Cardinals legend ended up having a monstrously good game. He left the field with three hits, five RBIs and a game-winning home run in the ninth. Meanwhile, Saturday’s loss was extremely on brand for deGrom’s 2018 season. The Mets offense squandered his strong start and handed him another undeserved loss. Sunday’s game was more entertaining than it had a right to be. Zack Wheeler manhandled the Pirates through six scoreless innings, and then he drove in the Mets’ only run with an RBI double. That’s what I call earning the win. 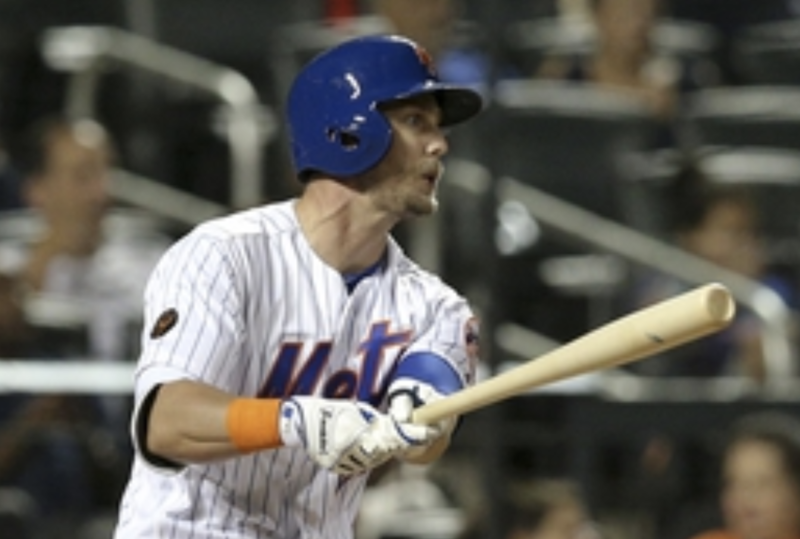 Last week, the Mets promoted top infield prospect Jeff McNeil from Triple-A Las Vegas. McNeil, who was selected in the 12th round of the 2013 draft out of Long Beach State, was crushing the minor leagues with a .342/.411/.617 slashline, 19 home runs and six stolen bases. Four days before the trade deadline, the Mets sent Asdrubal Cabrera to the Phillies for minor league righty Franklyn Kilome, who had a 4.24 ERA, 1.44 WHIP and 83 strikeouts in 103 innings at Double-A Reading. Kilome was on Baseball Prospectus’s Top 100 list prior to this season, as he dominated High-A last year, but he dropped off the list due to his current struggles.